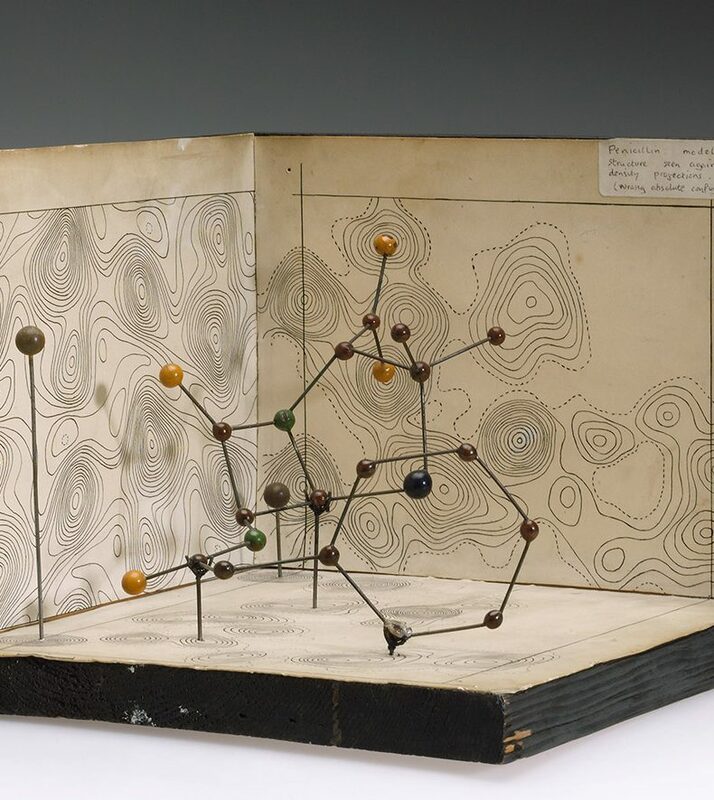 Molecular model of penicillin, the first antibiotic discovered. Later, antimicrobial peptides were also found to have antibiotic properties. By Science Museum London / Science and Society Picture Library [CC BY-SA 2.0 (http://creativecommons.org/licenses/by-sa/2.0)], via Wikimedia Commons. Antibiotics, a vital tool for fighting infections, were originally products of nature—the first antibiotic was serendipitously discovered in mold contaminating a bacterial culture. As antibiotic resistance becomes an increasingly serious threat, scientists are attempting to wring another type of pathogen-fighting drug from the wild: antimicrobial peptides. Antimicrobial peptides, or AMPs, are found in almost every type of organism—even bacteria themselves. They’re part of the innate immune system, which helps to ward off many classes of intruders. Although some researchers are attempting to develop AMPs into drugs, not everyone is enthusiastic about the strategy. If a pathogen developed resistance to AMP-derived drugs, it might also become resistant to the host’s natural AMPs. This could have disastrous consequences for the host population. And fears of resistance may not be unfounded: AMP-resistant bacteria have already been bred in the lab. Until now, the mutations responsible for AMP resistance have barely been studied. In a step toward finding and characterizing them, an article in the June issue of G3 reports a number of candidate genes involved in resistance to multiple classes of AMPs. To find the genes, the researchers treated Staphylococcus aureus with different AMPs at levels that allowed resistant strains to evolve. By comparing the genomes of the resistant strains to the original S. aureus genome, they found several genes that were mutated in the AMP-resistant bacteria. And supporting the notion that these mutations were involved in AMP resistance, the colonies resistant to a given AMP consistently carried mutations affecting the same gene or genes. While compelling, this doesn’t prove that these mutations are truly responsible for AMP resistance. To determine whether or not the mutations were responsible for resistance, the researchers selected strains from the Nebraska Transposon Mutant Library with mutations that impaired the candidate genes. By treating these strains with AMPs, they found that the mutant strains were indeed altered in their susceptibility to their corresponding AMPs. This means it’s very likely that the genes they found are directly involved in the evolution of AMP resistance. As well as enabling us to predict how pathogens might gain resistance to any AMP-derived therapies, further research on these resistance-associated genes may also help us understand how AMPs function, providing insight into this widely-used component of innate immunity. Johnston, P.; Dobson, A.; Rolff, J. Genomic Signatures of Experimental Adaptation to Antimicrobial Peptides in Staphylococcus aureus.